An Out of Competition Sample was taken from Burnout, engaged in this event, on 17/10/18 pursuant to GAR 79A. 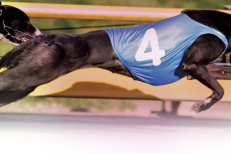 Stewards spoke to Mr P Abela, the trainer of Aston Dinnigan, regarding the length of time the greyhound has had between races. Aston Dinnigan last raced on 09/06/18. 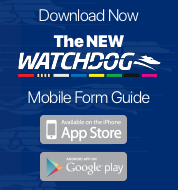 Mr P Abela stated that the greyhound was returning to racing following a spell. Gregorovitch, Vanda Mick and Base Camp collided soon after the start. Gregorovitch, Vanda Mick and Base Camp collided approaching the first turn checking all three greyhounds. Burnout checked off Ice Cool Kaedyn on the first turn. Aston Dinnigan and Ice Cool Kaedyn collided on the first turn checking both greyhounds. Gregorovitch, which fell on the finish on lure, was vetted following the event. It was reported that the greyhound sustained an abrasion to the left hock, no stand down period was imposed.